There are many good books and websites on the lives Jenner, Pasteur, Salk and Sabin as well. 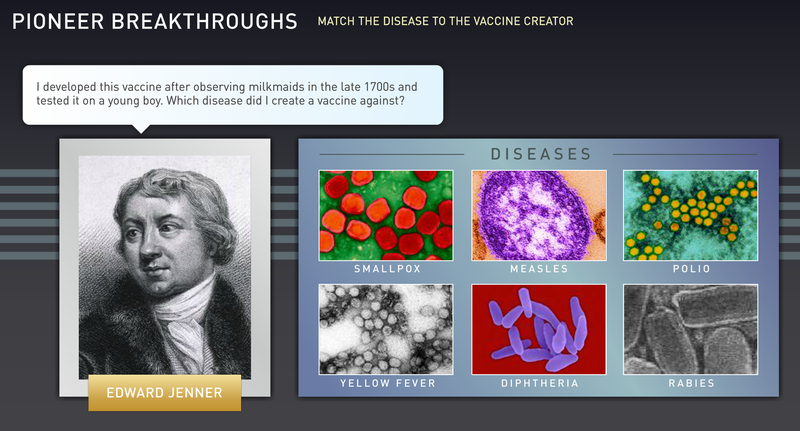 For a quick, fun way to learn about scientists who have made vaccination discoveries, visit The History of Vaccines to play this matching game of pioneers in vaccine development. 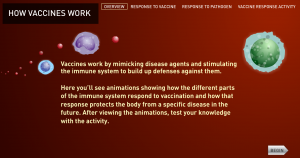 Vaccines manipulate the immune system of the recipient. Thus, to understand how vaccines work (or how to create new vaccines), we must first understand how the immune system prevents and fights infections. 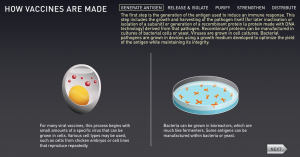 It is also a good idea to understand how infectious agents cause disease. This to me sounds like an entire college career! 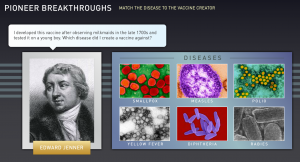 Visit The History of Vaccines to go to a colorful tutorial to learn more about how vaccines work. Go ahead and check it out! The goal of vaccination is to stimulate the adaptive immune system to make memory cells that will protect the vaccinated person against future exposure to a pathogen, without causing the symptoms of the disease. There are several types of vaccines which can stimulate the immune system to provide memory and protect against future exposure to a pathogen. What are the requirements for an effective vaccine? They vary according to the nature of the infecting organism. For extracellular organisms, antibodies against the organism (or part of it, some antigen) prove to be the most adaptive mechanism of host defense, whereas, for control of intracellular organisms (such as polio virus) an effective immune cell (CD8 t-lymphocyte) response is also essential. The ideal vaccination provides host defense at the point of entry of the infectious agent; stimulation of mucosal (these are the moist nose, mouth, eye surfaces) immunity is an important goal. Effective protective immunity against some organisms requires the presence of pre-existing antibody at the time of exposure to the infection, and booster shots are a great way to boost the presence of antibody. Induces neutralizing antibody Some pathogens (such as poliovirus) infect cells that cannot be replaced. Neutralizing antiboody is essential to prevent infection of such cells. Want to learn more about how vaccines are made? 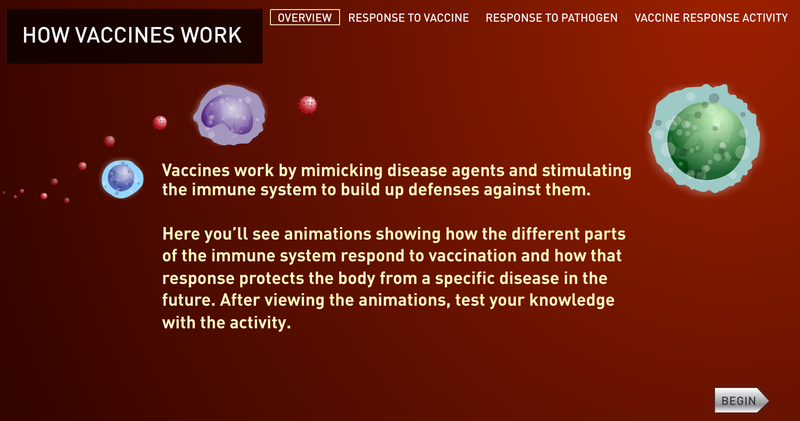 Go to the tutorial at The History of Vaccines to learn more! 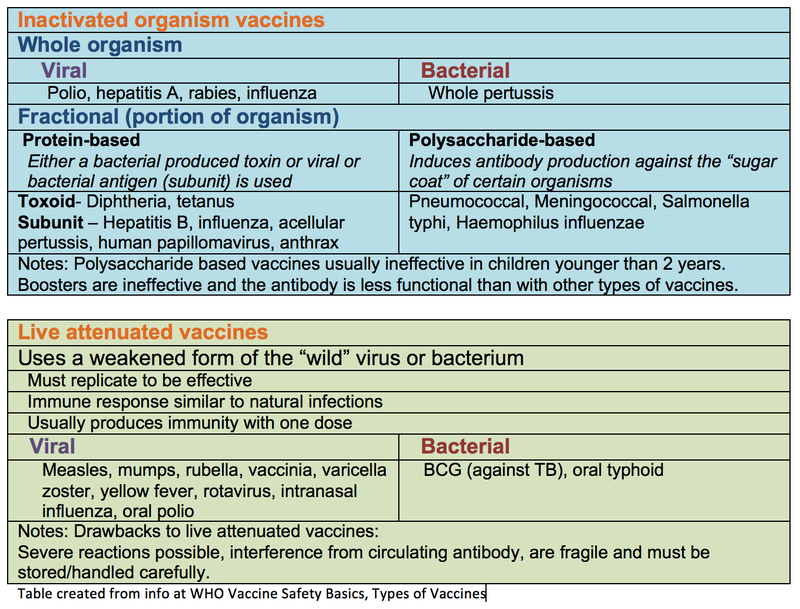 Listed here are the types of vaccines that can be produced based on the organism and type of response required.